It’s a good day for handsome, lonely dudes floating around in space, just waiting for someone to rescue them with an EVA mission of love. Hot on the announcement of Aaron Paul’s new movie Android—about an astronaut who tries to build robot doubles of his lost loved ones—Deadline reports that Joseph Gordon-Levitt has also signed on for a film about a man who goes searching for love among the stars. 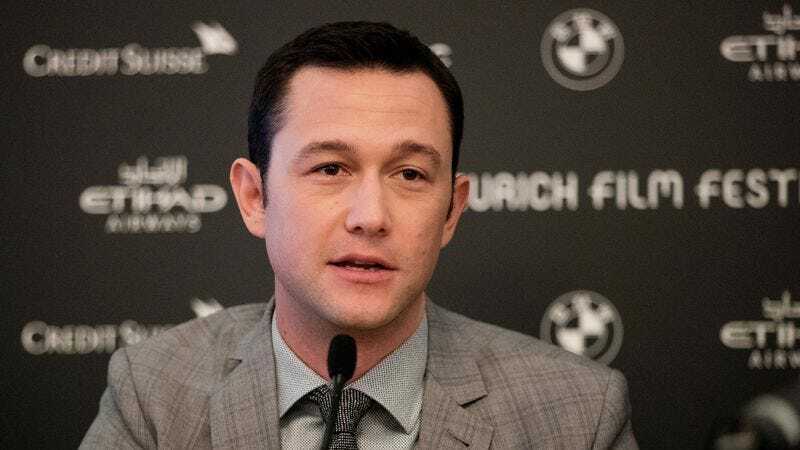 Gordon-Levitt will star in Sovereign, from director Marc Munden, who’s probably best known for his work on British TV series like Utopia and the recent Channel 4 mini-series National Treasure. The new film is being described as a sci-fi thriller, and will see the Looper star play a man searching for his estranged wife on an abandoned space station. That sounds like a pretty meaty set-up for some space-based psychological scares, even if part of us doesn’t wonder if this whole lonely soulful spaceman thing—which also encompasses Chris Pratt’s character in the upcoming Jennifer Lawrence vehicle Passengers—isn’t part of some NASA conspiracy to make space seem like a good spot to meet romantic, single men.